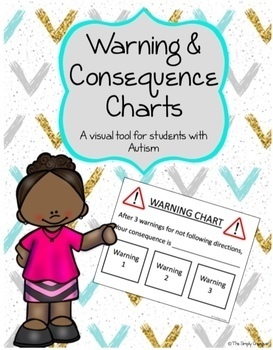 These Warning and Consequence Charts were designed specifically for students with Autism that also display problem behavior. 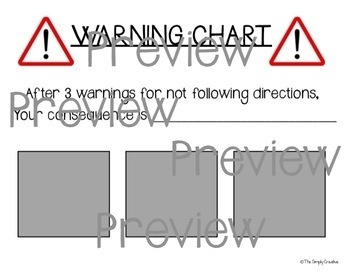 These charts are ideal for visually showing a student how many warnings they have left. It is also an effective way to prompt a student without using verbal cue or stopping your teaching. 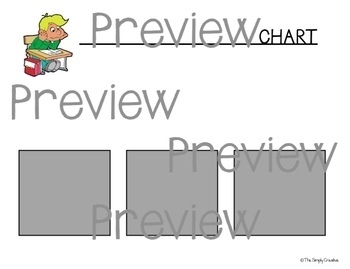 These charts, however, can also be effective with all students displaying a problem behavior. It is a great tool to use that does not require you to stop your teaching or draw too much attention to the behavior. I have also used these charts with a student that is attention driven. 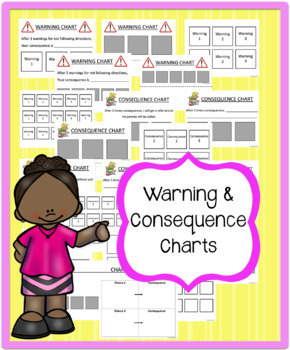 These charts allow me to give the student a warning without looking, talking, or giving any attention to the problem behavior (thus eliminating the attention he is seeking by displaying the problem behavior).